2018 was an awesome year for OptinMonster. Our customers are the reason we exist, so it’s an amazing feeling to deliver a product we’re so proud of, knowing that it helps make it possible for our customers to consistently reach and exceed their own goals. With the launch of our drag and drop campaign builder, it’s super simple to create beautiful campaigns without the need of a web developer or a designer. There’s so much you can do with the builder! 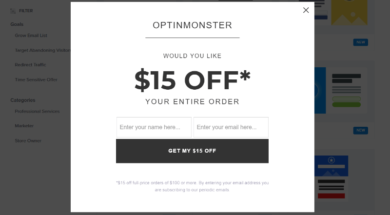 From creating a simple landing page to opening an optin from a custom WordPress menu link, we have tons of tutorials help you create OptinMonster campaigns that will grow your email list like mad. The last quarter of 2018 saw the opening of OptinMonster University, which brings courses, execution plans, and all of our ebooks, cheat sheets, templates, checklists, and other expert resources to YOU with the sole goal of exploding your business growth. The focus for all of the courses and execution plans is step-by-step, 100% actionable resources that you won’t find anywhere else. 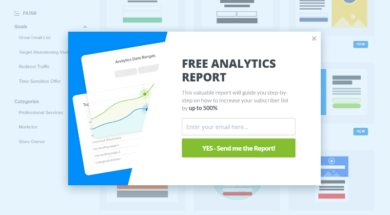 As if all that wasn’t enough, we introduced features and updates designed to make it easier than ever for you to get leads, increase conversions, and grow your business. 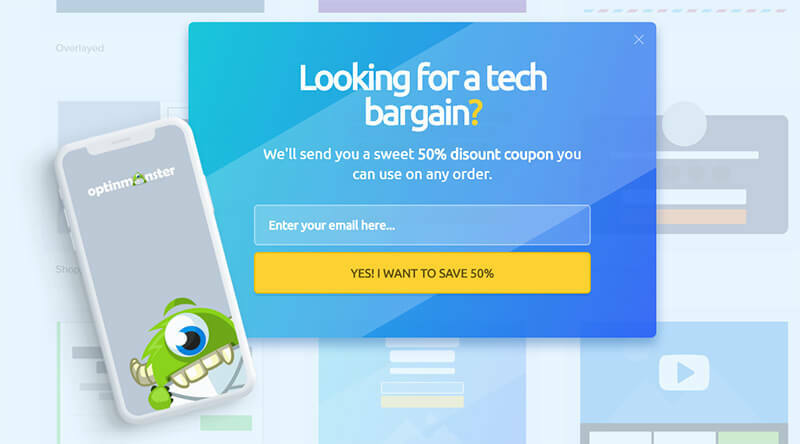 We introduced several beautiful, professionally designed templates to make it super easy to create a stunning lead generation campaign in minutes. We beefed up our Yes/No and Success views to make your campaign options virtually limitless! You can control every view in your campaign – Yes/No, Optin, and Success – and can even redirect your leads to a URL instead of showing them a success view. Top 6 Digital discovered that redirecting visitors to an affiliate offer with a strong call-to-action using an exit-intent optin led to increased clicks on affiliate links. What awesome successes will you uncover? Display rules got a huge upgrade in 2018 and it’s easier than ever to decide exactly when and where your campaigns will appear. Both AND and OR conditions can be within a single ruleset and you also have the option to create entirely different rulesets. 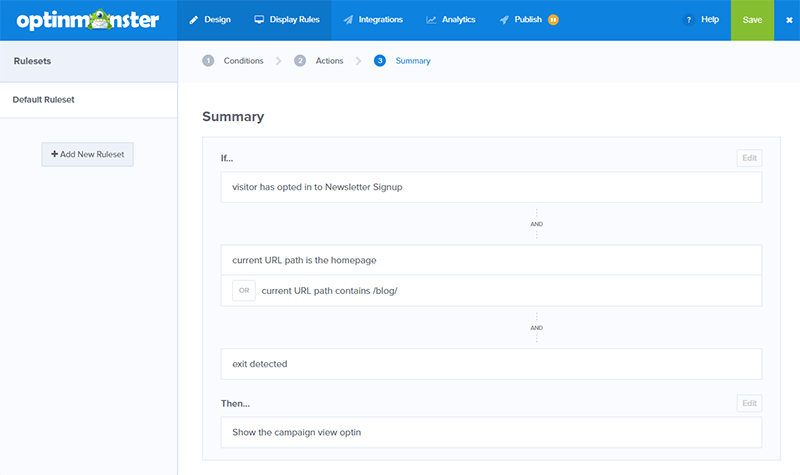 We also added even more ways to fine-tune campaigns and target your users based on the optins they’ve already seen and the URLs they’ve already visited. This makes it easy to take things even deeper by automating your funnel with MonsterChains. Customizing your campaign is even easier with the ability to import layouts and designs from another view in your campaign. You can also copy button styles and easily make customizations. New countdown timer actions can maximize your results from a single campaign. Then once the timer runs out, you can show a different view to count down to the end of your sale. This view could offer visitors another chance to sign up, this time for free shipping. After the event is over and your last timer has ended, you could show a simple success view asking visitors to sign up to be notified of the next sale. Just set the display rules to stop showing the campaign after whatever date you choose and you’re all set. 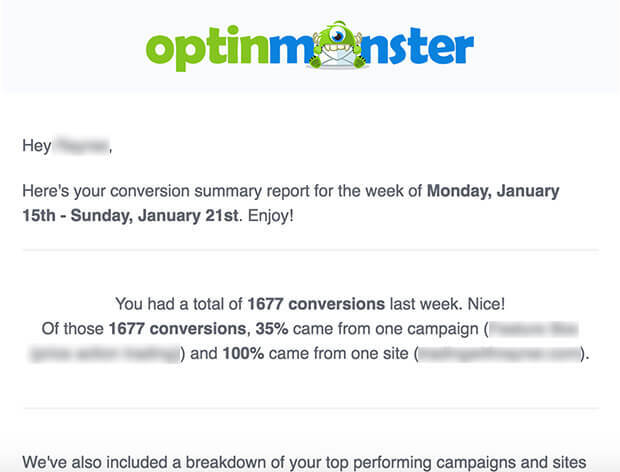 That makes 3 opportunities for leads, sales, and engagement from a single OptinMonster campaign. New and improved slide settings can keep a slide-in optin around (just minimized) for your visitors and let them decide when they’re ready to engage. This can make an enormous difference in revenue and leads! You can opt in to our beta program from your Account Settings by checking the box next to the Beta Program option. This gives you exclusive, hands-on experience with brand new features before they’ve even been released! 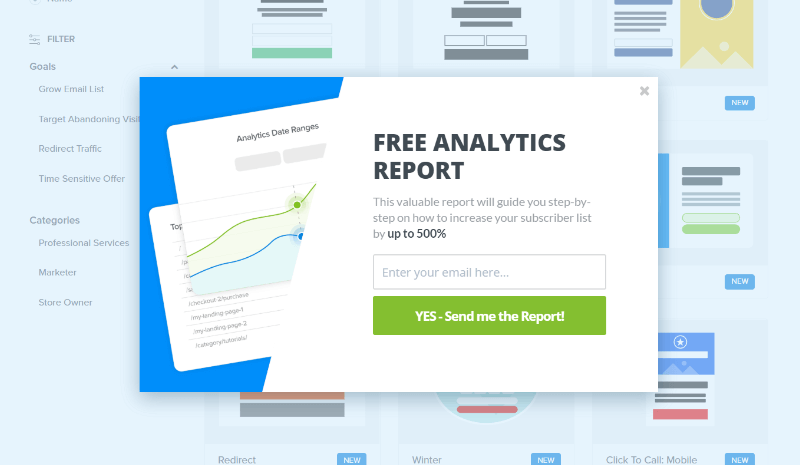 We’ve made adding a click-to-call button to your popup campaigns super easy. 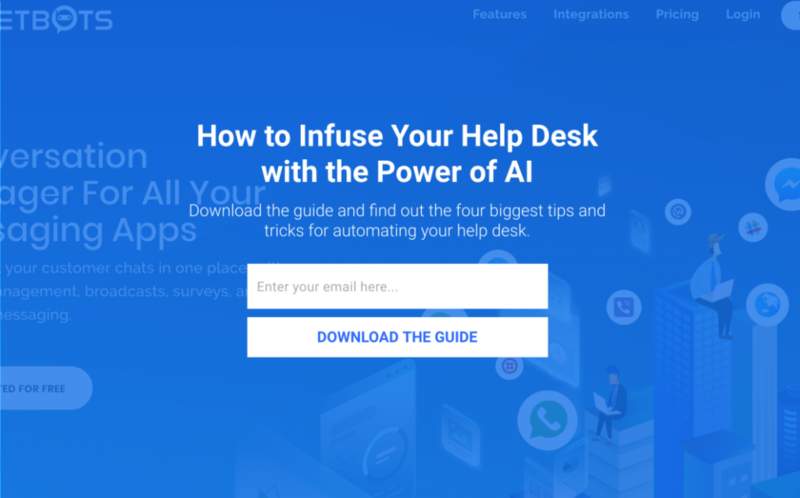 Your customers can reach you with the click or tap of a button, letting them know that you’re available and willing to answer their questions. In 2018, our Google Analytics integration got an update, making the 30-day snapshot that is displayed in your campaign dashboard (what you see when you log in) more accurate than ever. This means increased stability and more accurate reporting for you! 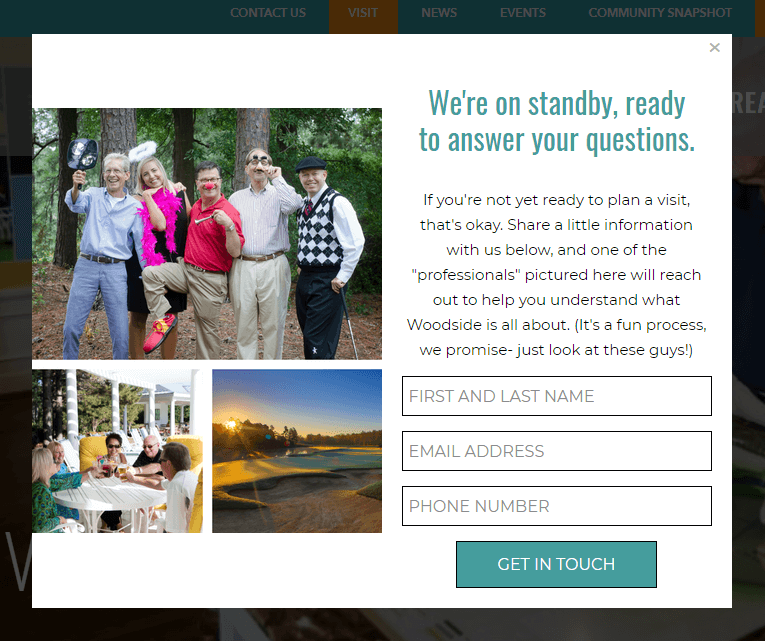 Woodside Communities saw an opportunity to engage with visitors in a new way and executed quickly to get great results. Woodside Communities increased leads 476%. Woodside Communities increased revenue $294,435 in under two months. Woodside Communities went from 46 leads collected to 116 leads in just two months. Expat.com works hard to personalize their visitor’s journey, and it nets them big results. Expat increased member registrations 50% using OptinMonster. Expat boosted registrations from 16,000/month to over 30,000/month. Expat refers 10% of a partner’s qualified leads using OptinMonster. 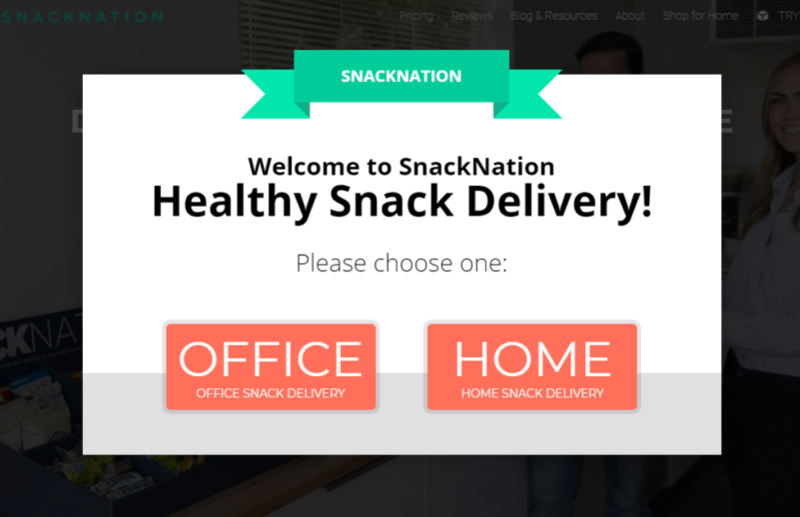 SnackNation used OptinMonster to segment visitors, and lead them towards a sale. 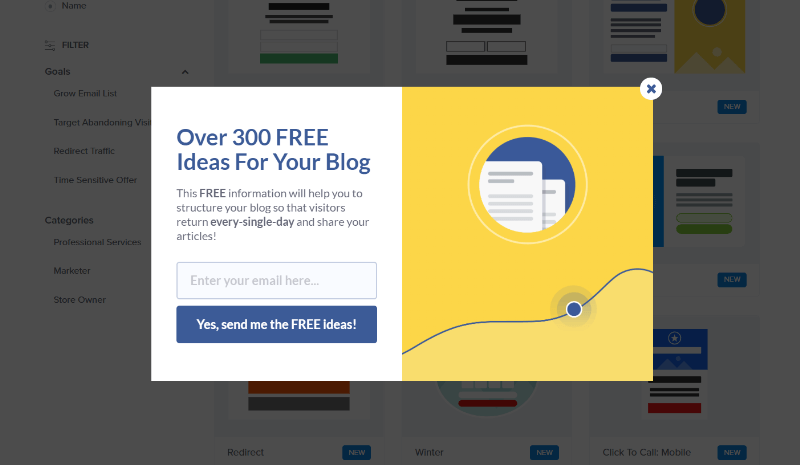 SnackNation adds 1,200 new emails to their list each week using OptinMonster. SnackNation converts 15-20 qualified leads every day. SnackNation converts 31.85% of abandoning visitors. We can’t wait to feature YOU in 2019! There ya have it! 2018 is all wrapped up and 2019 is already in full swing. 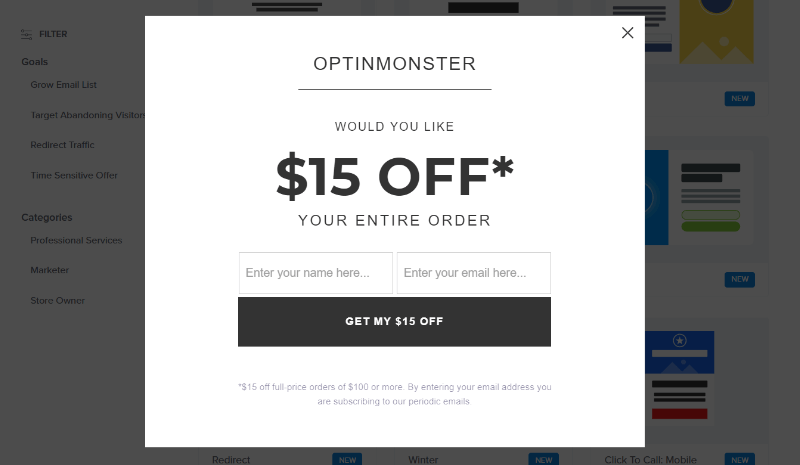 If you’re not already an OptinMonster customer, why not take a minute (literally, it takes 60 seconds) to sign up? OptinMonster is the best lead generation software available and we are backed by a team like no other. 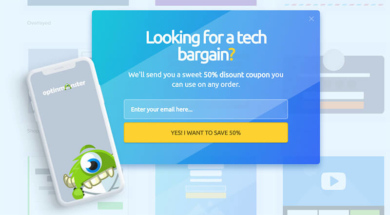 Join OptinMonster today. Leads are waiting.